Samuel has been accused of being involved in the case of extortion calls allegedly being made to a Bihar politician from a city guest house, which is being investigated by Kolkata Police. 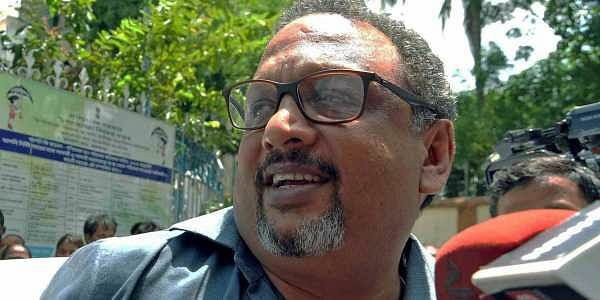 KOKLATA: Web portal Narada News CEO Mathew Samuel told the Calcutta High Court today that he was willing to undergo narco analysis test in connection with a case of alleged extortion involving a Bihar politician. Justice Debangshu Basak directed that all parties involved in the matter may move the magistrate concerned for necessary clearance for holding narco analysis test after obtaining final confirmation from Samuel. Justice Basak directed that if the narco analysis test is conducted on Samuel, it should be done in accordance with guidelines of the Supreme Court. The direction came after Samuel's counsel Bikash Bhattacharya told the court that though he personally feels that narco analysis test is a violation of human rights, his client has expressed his willingness to take the test. The high court had earlier asked Samuel if he was willing to undergo the test. Justice Basak had on November 1 noted that the Narada News head had invited investigators to conduct a narco test and gave the direction when Samuel's counsel told the court he would have to take instructions from his client. Samuel recently released CDs to the media purportedly of a sting operation. It showed people resembling senior Trinamool Congress leaders receiving money allegedly in exchange for future favours. The sting is being investigated by the CBI on a Supreme Court order. Samuel had moved the HC claiming that the Kolkata Police was harassing him in the name of an investigation into an extortion case and had prayed that the probe be transferred to the CBI. Alleging that Samuel was not cooperating with the probe into the case of extortion calls made to a Bihar political leader from a lodge here, Advocate General Kishore Dutta had submitted that an accused could not dictate terms on how an investigation had to be carried out. Dutta had told the court that a laptop, mobile phones and SIM cards were recovered from a lodge under the Muchipara police station area in the city earlier this year. These were allegedly used to make the extortion calls and Samuel's links to the case were being probed on specific grounds. Samuel's counsel Bhattacharya claimed the police were insisting on the production of Samuel's personal files which are connected to the CBI investigation into the Narada sting operation.